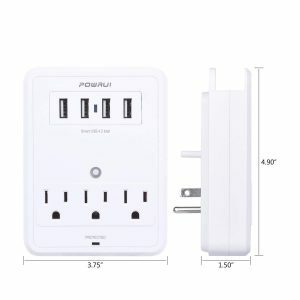 We love our Multi-Wall Outlet Adapter. 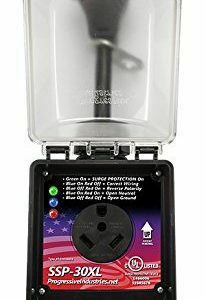 We keep this device in our RV full time and use it to charge our cell phone, camera, and GoPro too! 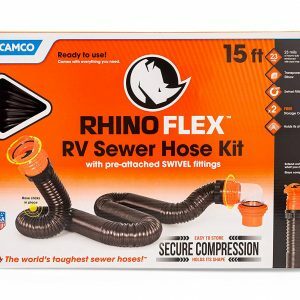 This is a fantastic device and an RVBlogger recommended favorite! 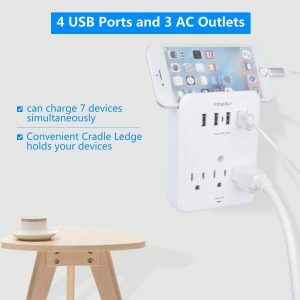 Powrui Neat Looking All in One Wall Mount Charging Center This multi-functional USB outlet wall charger turns 1 outlet into 3 AC outlets & 4 smart USB charging ports which allow you to power up to 7 devices at the same time. It is simple to install. You just plug it into a wall socket. This portable charging center is ideal for charging several devices at the same time. 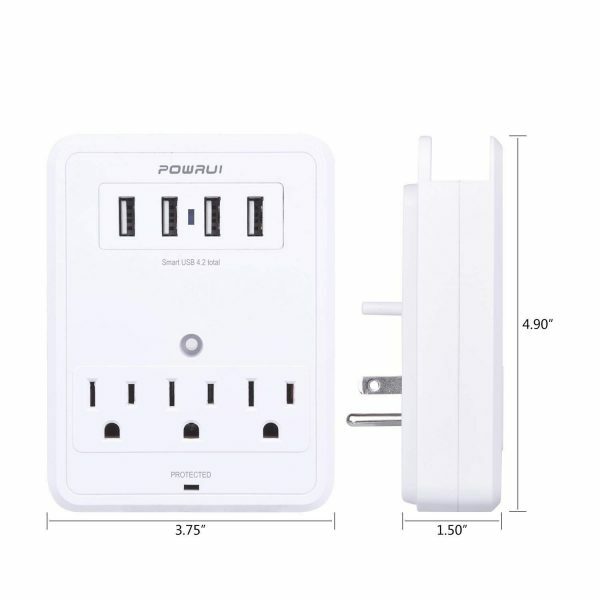 POWRUI 3 – Surge Protection The Powrui provides excellent surge protection against electricity spikes with three Surge Protection Circuits, TVS+MOV+GDT. It features an impressive response speed of less than 1Ns, and minimum energy-absorbing capacity of 1680 Joules, It could absorb much more energy from the power spikes. 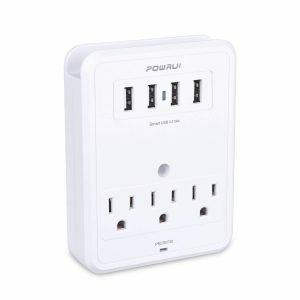 MULTI-FUNCTION DESIGN: 4 USB charger ports (total output DC 5V/4.2A) and 3 AC outlet plugs with a built-in surge protector. Perfect for smartphones and other rechargeable electronics. PROFESSIONAL SURGE PROTECTOR CIRCUIT: Three complementary Surge Protector Circuits, TVS (transient voltage suppressor)+MOV (metal oxide varistor)+GDT (gas discharge tube), with response speed less than 1Ns, and minimum energy-absorbing capacity of 1680 Joules, its response time is much shorter than the traditional MOV surge protector circuit, and it could absorb much more energy from the power spikes. 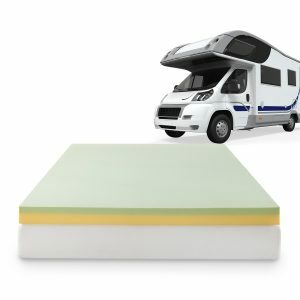 It provides excellent protection for your electronic devices. 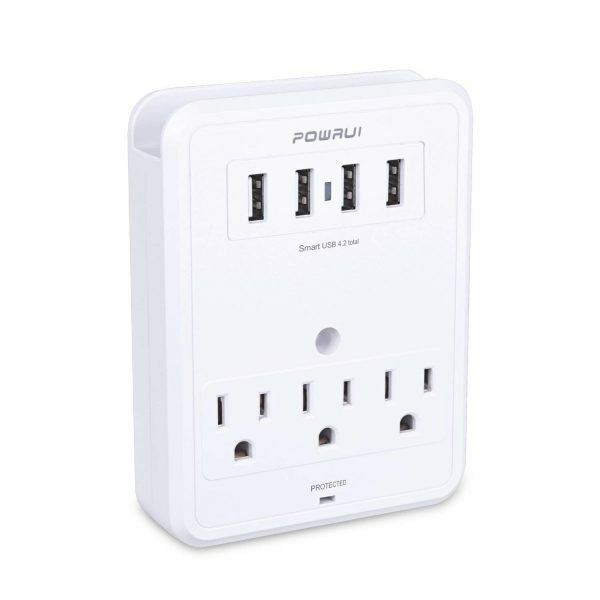 COMPACT DESIGN: One wall outlet extends to become 4 USB ports and 3 AC outlets to save space. The top slot holds a phone while your smartphone is charging. It is manufactured with fire-resistant poly-carbon material and high-quality components. Great Warranty: Friendly and reliable customer service will respond to you within 24 hours. The warranty features a 12-month replacement warranty, or 30-day money back guarantee!